/ Good news. For now. With lists of billions of compromised credentials floating around on underground forums and in text-paste pages across the Internet, it’s difficult for anyone to keep up with the potential threat from breached passwords. That’s why, as part of its security efforts during Safer Internet Day, Google has released a new add-on for the Chrome browser that automatically and securely checks website credentials against known password breaches. 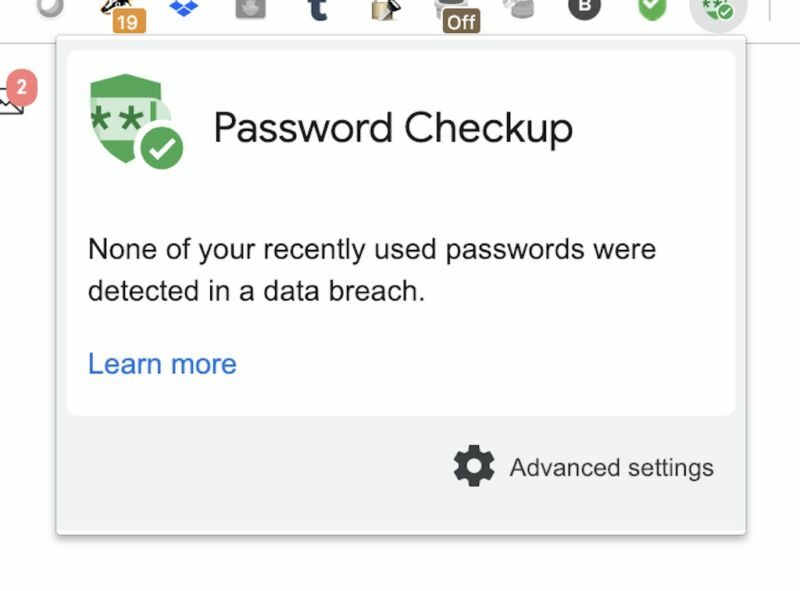 The Chrome browser extension, called Password Checkup, is available today. It securely checks credentials used to log in to websites—whether they’re manually entered or stored in Chrome’s password manager—against hashed credentials stored in an encrypted database of billions of compromised accounts maintained by Google. Elie Bursztein, head of Google’s anti-abuse research, told Ars that the protocol behind the service is being presented as a standard for securely checking account security and that the interface may be offered as an open application interface in the future. “On your end, you get an index that only you know,” said Thomas. And that index is both hashed and only a partial encoding of the information—it can’t be used to recreate a complete version of login credentials. The backend database contains data culled from password dumps on underground marketplaces. Currently, it contains terabytes of data on over 4 billion compromised credentials and is constantly being updated by Google’s threat research team, Bursztein said. The database and the API to access it could be applied to a number of future capabilities, and Bursztein said that his team is open to suggestions on how to best use it. Potentially, the database could be a valuable resource to companies’ internal threat-hunting teams seeking hints of compromise of critical accounts on third-party services. But for now, Bursztein said, the goal is to reach Internet users in a way that’s transparent and easy to use, regardless of whether they have a security team to back them up.